The view is amazing, even when you are on kitchen duty! The great room has a LARGE sectional sofa with a queen sleeper, a leather recliner and a WIDE screen TV, too. Huge kitchen for preparing lunchtime snacks or gourmet dinners! All modern appliances, including a Keurig machine and plenty of storage plus granite counter tops. The full sized laundry is located just across the hall from the kitchen for your convenience. This is an "end" unit with a huge balcony. Enjoy outside dining while you sit in the shade and take in the majestic vistas. The Captain's Master Suite has a luxurious king-sized bed with luxury linens and a floor to ceiling sliding door for enjoying the incredible beachfront view. The Captain's Master has its own TV and DVD, too. The Captain's Master Suite has a separate dressing area with double vanity and a huge walk in closet. The view from the Captain's master suite tub is spectacular! Where else can you see the beach from your garden tub and walk in shower? The cozy Tropical Dream Room has a luxury queen bed and a large closet. The Tropical Dream Room has a picture postcard view of the beach and the strip. There's a flat screen TV, too! 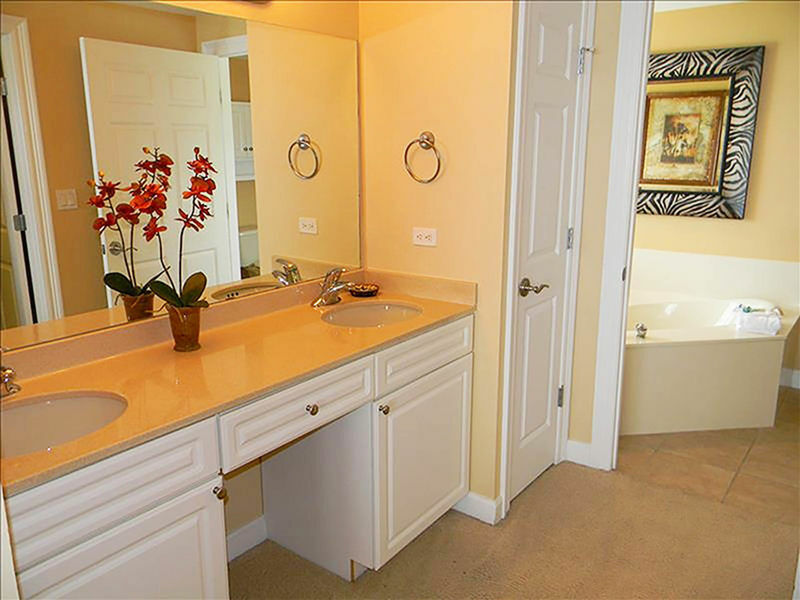 The Tropical Dream Bathroom has an entry from the bedroom and the hall. It has a large linen closet for extra storage. A shower massage and hair dryer are included. Ah! The Crew's Quarters Bunk Room is every kid's dream! Decorated just for them! The Crew's Quarters has its own flat screen TV and a real door. These are NOT bunks in the hallway!! The First Mate's Master Suite is actually a lock out unit that can be closed off from the main condo. There is a separate outside entrance. The First Mate's master suite has an elegant king bed with luxury linens and a memory foam mattress topper. The flat screen TV is mounted so you can view it from the bed or the sofa. The First Mate's Suite has a queen sleeper sofa, too. The kitchenette in the First Mate's Suite has a mini-fridge, a toaster over, a microwave and coffee maker. The First Mate's bathroom has a garden tub, walk-in shower, large linen closet and separate dressing area with double vanity. The Boardwalk Beach Resort is a modern complex with all the amenities you expect from a first class property. 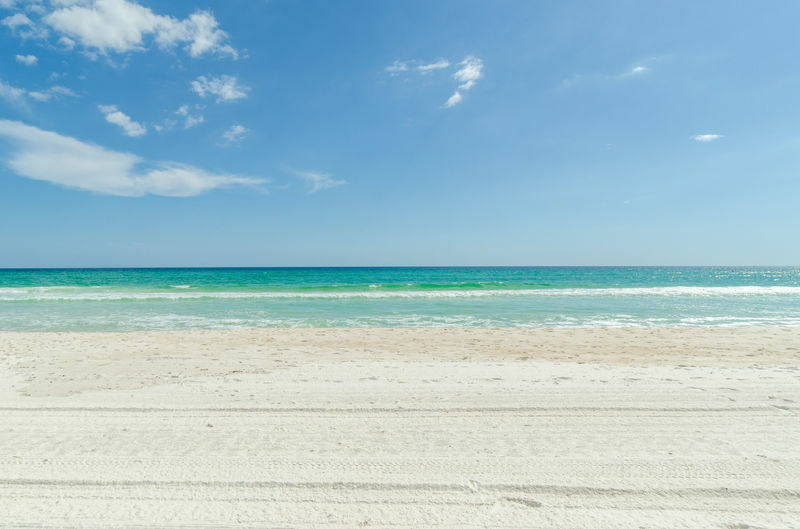 Panama City Beach's signature emerald waters and sparkling white sugar sand beaches are waiting for you! Boardwalk 2111/2112 example floor plan. Please see our photos and descriptions for actual furniture and placement in condo. 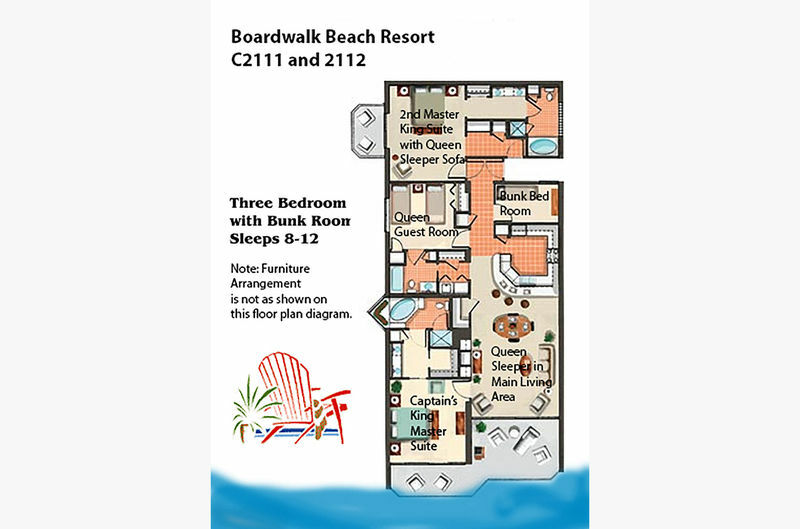 Welcome to Seaside Memories, Boardwalk 2111, where you are sure to make wonderful vacation memories! Elegantly decorated to delight your senses and soothe your spirit, this fabulous twenty-first floor wrap around unit has great room and master bedroom balconies that are Gulf front with expansive beach views. This property comfortably sleeps up to 12 with 2 king beds, 1 queen bed, two queen sleeper sofas and a set of bunk beds for the kids with 4 bedrooms and 3 bathrooms. There is a pack n play for baby, too! Need more space? 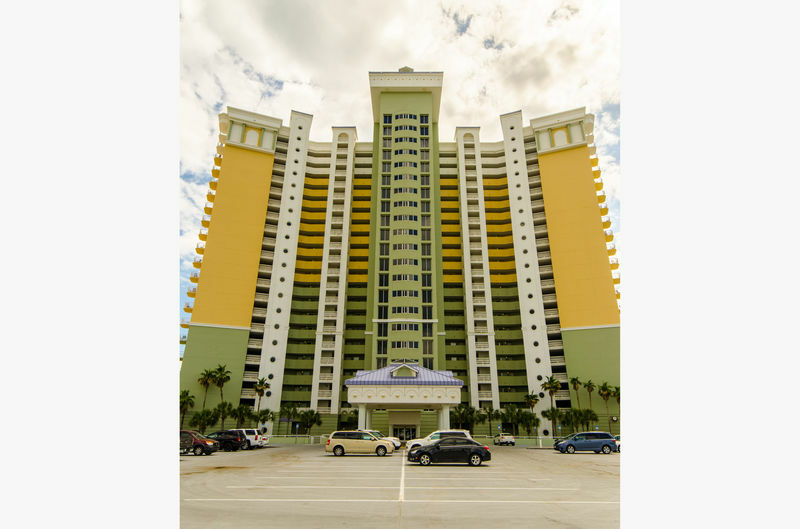 We manage many other properties in Boardwalk and other popular resorts in Panama City Beach! Phone: 850-234-0997, Toll free 1-844-808-7272, Click here to e-mail us. Boardwalk building renovations are ongoing now thru May 10, 2019. Renovations will be halted during the summer months, May 11, 2019-Labor Day Weekend. Renovations will resume September 2, 2019 and will run through the fall/winter seasons. These renovations involve repairs to balcony edges, resealing caulked joints, grinding of balcony surfaces, and application of several layers of special coating to the walking surfaces. The work is being done in phases and there may be times when your balcony access may be blocked and your windows will be covered in plastic. While the crews are grinding material off the balcony floors and/or removing damaged concrete, the pool will be closed from time to time due to the safety hazard from falling debris. Unfortunately, we have no control over the schedule, noise, pool area closing or the inconvenience this might cause. We are making you aware of the construction before you decide to book a reservation at Boardwalk Beach Resort. If you book a reservation at Boardwalk Beach Resort during the construction periods noted above, we will not refund any money due to the inconvenience related to the construction since you have been made aware of the situation in advance. Nine-foot ceilings, crown molding, elegant tile, top of the line granite counter tops, ceiling fans throughout and oversized garden tubs and showers with shower massages, this condo has it all! You'll love lounging on your lavishly furnished private balconies overlooking Boardwalk Beach Resort's private 1,700-foot expanse of sugar white sands. 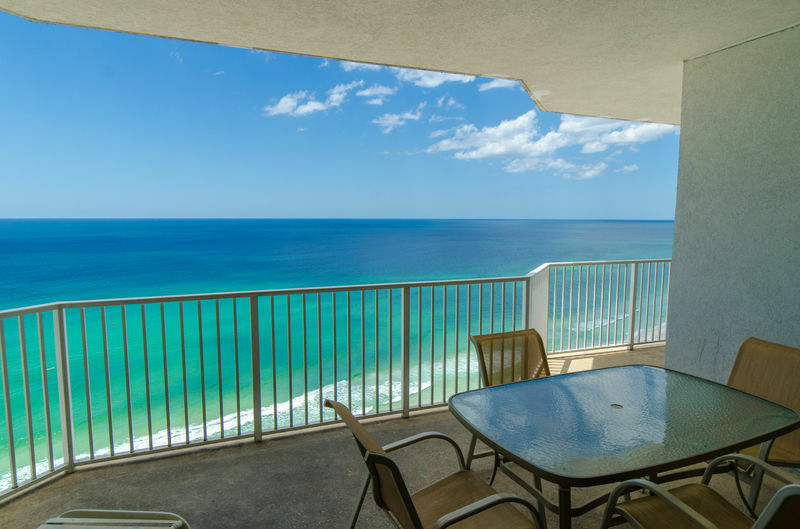 Panama City Beach has been known for generations as the Miracle Mile and you'll wake up to it every morning. This rental includes high speed internet throughout the unit at no additional charge. 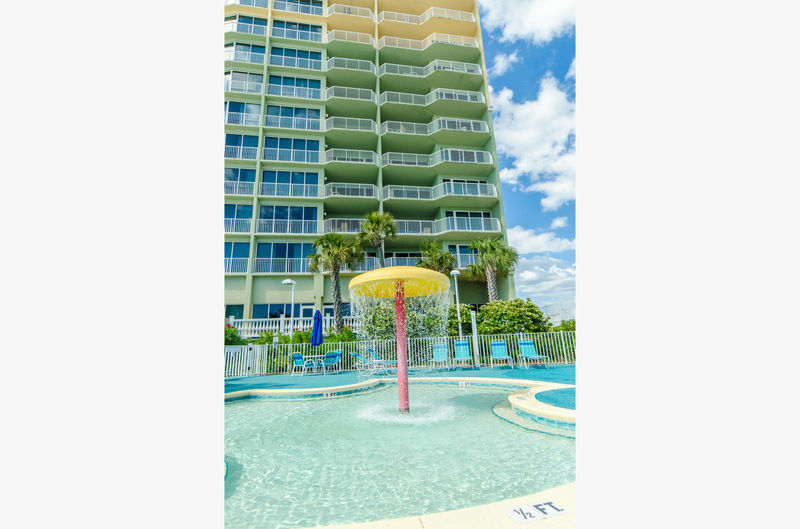 The Boardwalk Beach Resort has all the amenities you expect from a first class vacation destination. The zero entry pool is exquisite with its own waterfall and extensive decks for sunbathing and relaxing. The children's pool and play area has interactive fountains that will thrill the youngsters and an observation deck for parents to enjoy the view. Two hot tubs are ocean front. Grab a drink or quick snack at Under the Boardwalk on the pool deck. The Corner Store has snacks and sundries just in case you forgot the sunscreen. With high-speed elevators, there's never a long wait to get to your condo and there's plenty of parking, both covered and uncovered, directly adjacent to the building. They don't call them 'The World's Most Beautiful Beaches' for no reason!! In this condo, you'll be sleeping right on the beach. This unit is located on the west end of the building and has spectacular sunset views from both balconies and the guest bedroom window. All Emerald Beach Properties are privately owned and managed by us for the owners and their guests. What you see on our website is what you get, no surprises at check in. Remember that all vacation rental properties are not the same. When you rent a property managed by us, you can be sure of exactly where you're staying for your vacation and we'll be there if you need us. The great room has plenty of seating with an huge curved sectional sofa with a queen sleeper built in and a comfy leather recliner. The 52 inch flat screen TV, complete with cable and DVD player, is great for watching your favorite programs, movies and all the big games. Enjoy the incredible view from the comfort of the living room or step onto the private balcony for a panoramic view of the majestic Gulf of Mexico. The view is awesome, you're sure to be enchanted by the emerald waters and sugar white sand. The great room and kitchen have a tropical theme with nautical accents. Stretch out with a "beach novel" from our collection of books. 'Surf by the surf' with the free high speed internet available throughout the unit. Create a feast, or a quick snack, in the well-equipped gourmet kitchen, complete with the latest appliances and granite counter tops. It even has a Keurig coffee maker! You'll love having an ocean front view from the kitchen, too. Dine inside or outside, it’s up to you! No waiting in line and no reservations required when you have your own condo instead of just a hotel room! If you don't feel like cooking, just head down 'Under the Boardwalk' to our Tiki Bar for a snack or cool drink by the pool or visit one of Panama City Beach's great local restaurants. Need to do a little laundry? This property has a full sized washer and dryer. There's also an iron and ironing board for quick touch ups before that night on the town! Sleep to the gentle sounds of the ocean in the Captain's master suite's comfy king-size West Indies inspired poster bed. The tropically themed master suite opens on to the Gulf front balcony. You'll enjoy the luxury high thread count linens and the memory foam mattress topper. Switch on the large flat screen TV and enjoy a DVD or listen to your favorite music. The en suite bathroom includes a separate dressing area, a large walk in closet, a toilet and a walk in shower and a fantastic oversized soaking tub overlooking the Gulf of Mexico and the Signal Hill golf course. Settle in and let your cares just float away! Sleep to the sounds of the ocean from the Tropical Dream bedroom, too! You'll enjoy a luxurious queen size bed with memory foam topper and a window with a picture postcard ocean and golf course view. You are sure to love the tropical palm decor. This room has a large flat-screen TV with DVD player. The adjacent bathroom has a tub and shower combination decorated with sea shells and other sea life. The Crew's Quarters bunk room is a real bedroom, not just some bunk beds in a hallway. Decorated just for kids. It has a set of bunk beds, a chest of drawers and a night stand. It even has its own TV and DVD player! Bunk beds are not recommended for use by persons over 100 pounds. We provide a pack 'n play for our guests who need a crib for baby. Please bring your baby's favorite bedding, since this is not provided in the linen package. The First Mate's Quarters is a second master suite with separate entry and a private ocean and golf course view balcony. Decorated in a nautical theme, it has a king-size bed with memory foam topper and a tropical queen sleeper sofa. The electronics package includes a wall mounted 27 inch flat panel TV with DVD player that can be adjusted for viewing from either the bed or the sofa. The efficiency kitchen in this suite has a mini refrigerator, microwave, toaster over and coffee maker for preparing simple meals and snacks. The large private bathroom has a relaxing soaking tub, a walk in shower, a toilet, a separate dressing area with double sinks So you can relax in the garden tub or enjoy a hot shower after a day at the beach in this luxurious bathroom! Make Seaside Memories YOUR Perfect Place in Paradise, see you at THE Beach! Elegant West Indies inspired decor. With fabuous high quality linens and a memory foam mattress topper for added comfort. This is your second master suite. With a private entry and kitchenette. Beautiful king bed and queen sleeper sofa. Beautiful picture postcard view of the beach and the "strip". Comfy queen bed with memory foam mattress topper and luxury bedding.